Value Care knows that our clients deserve both value and quality of care. Because of our experience and reputation, clients call on us to refer sitters, often in health care facilities like hospitals and rehabs. Value Care is locally owned and has been helping clients in Florida since 2007. Through our Care Match Program we thoroughly understand the needs of our clients before referring qualified and compassionate professionals who can serve as sitters. We understand that each person’s situation is different. One person may need around the clock care in their home while someone else may just be in need of a temporary hospital sitter. Either way, we find caregivers and sitters passionate about helping others. If you have a loved one in the hospital or a skilled nursing facility, you may not be able to spend nearly as much time with them as you would like. Value Care refers caregivers who will take care of your loved ones wherever they may be, whether in a hospital, assisted living facility, or another facility. 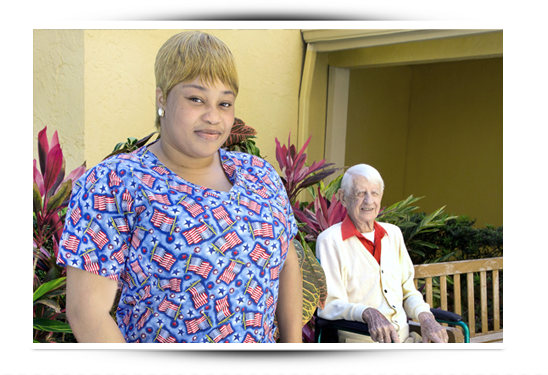 The caregivers we refer are all extensively screened according to our FIVE STAR PROMISE so they have better experience and core skills needed to provide the care our clients deserve. For hospital sitters this may entail assisting your loved one in and out of bed, helping with dressing, using the bathroom, reaching out to a nurse, contacting a family member, or just some friendly companionship. Value Care refers caregivers to work with our clients’ schedules and needs. Client’s who need a sitter will receive more help and don’t have to worry about upfront deposits and higher overall costs. Our clients save 25% or more off average industry prices.